VA Home > VA Home Loan Info - Counties > What is a VA Jumbo Loan? A VA Jumbo Loan is a loan that is over the Fannie Mae conforming loan limit of $484,350. The VA has its own loan limits that are set according to county. In certain counties, the VA loan limit can be as high as $1,094,625. All VA loans, including VA jumbo loans, do not require a down payment. However, if a borrower chooses to put money down, they can. The guidelines for VA jumbo loans are much more thorough and complicated than the guidelines for a standard Fannie Mae VA loan (a VA loan for less than $484,350). Among the requirements for jumbo loans are a need for liquid asset reserves (cash reserves), and an adjusted credit vetting process. As on all VA loans, there is a funding fee of 2.15 percent (first-time use) of the loan amount or purchase price that can be financed into the loan. For example, let’s say you want a loan for $600,000 the VA funding fee would be $12,900, which equals a total loan of $612,900.00. *Note The VA funding fee can vary depending on how many times you use the VA loan as well as disability status. Interest rates on VA jumbo loans are usually 1 to 2 points higher than a normal VA loan. A Jumbo VA loan is available only to VA-eligible borrowers who qualify with income and credit requirements as well as the VA county limit requirement. 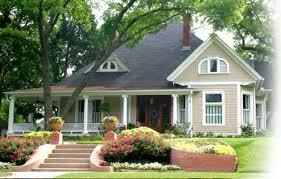 Usually, jumbo loans require a large down payment. However, with all VA home loans the down payment is not required. Up to $6,000 of energy efficient improvements can be included in all VA loans. The cost of these improvements can exceed the total loan amount. The requirement of this is that the improvements must offer a direct benefit and savings for the borrower. Closing costs for a VA jumbo loan can be paid for by the seller, the borrower or third party. With all VA loans, there is a limit on what closing costs the veteran can pay. To apply for a VA jumbo loan, call 888-573-4496 or fill out the VA home loan application. VA will guarantee 25 percent of the principal loan amount, up to the maximum guaranty. The maximum guaranty varies depending upon the location of the property. For all locations in the United States other than Alaska, Guam, Hawaii, and the U.S. Virgin Islands, the maximum guaranty is the greater of 25 percent of (a) $484,350 or (b) 125 percent of the area median price for a single-family residence, but in no case will the guaranty exceed 175 percent of the Freddie Mac loan limit for a single-family residence in the county in which the property securing the loan is located. This translates to a maximum loan amount of $1,094,625 for 2018. In Alaska, Guam, Hawaii, and the U.S. Virgin Islands, the maximum guaranty is the greater of 25 percent of (a) $625,500 or (b) 125 percent of the area median price for a single-family residence, but in no case will the guaranty exceed 175 percent of the Freddie Mac loan limit for a single-family residence in the county in which the property securing the loan is located. This translates to a maximum loan amount of $1,641,937.50 for 2018.